Shrewsbury Cathedral – Topp & Co. 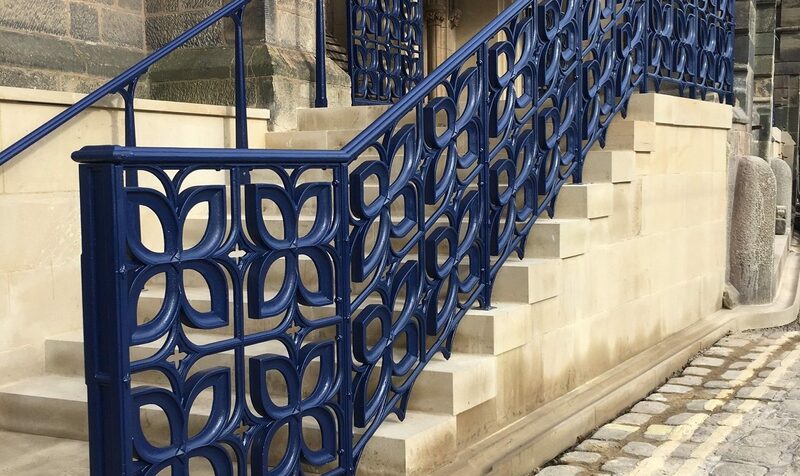 In December 2014 Arroll and Snell, architects for Shrewsbury Roman Catholic Cathedral, asked Topp & Co. for ideas regarding guard railings and gates to a new entrance and external staircases to the cathedral, as part of a major redevelopment of access and circulation within the building . The cathedral was opened in 1856 and is in what is now known as Victorian gothic style. The interior was designed by Edward Pugin, son of his famous father Augustus Pugin, well known as a champion of the gothic revival, whose most famous works include the interior of the palace of Westminster. The work was commissioned as a design and build contract, rather in the manner of the commissioning of a work of art. This approach was of course commonplace at one time for ecclesiastical work, when an artist would be asked personally by the architect to fulfil the brief. 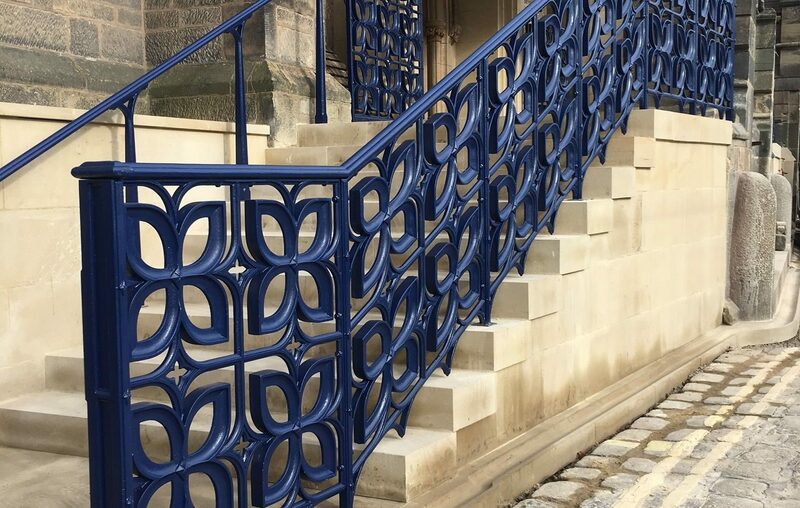 We thought it might be fun to design the new ironwork to be cast, rather than wrought, and this seemed to make sense for a number of reasons. Cast iron architectural detail was at the height of its fashion in the mid nineteenth century, and its bulk goes well with the massing of the gothic detail carved into the masonry. 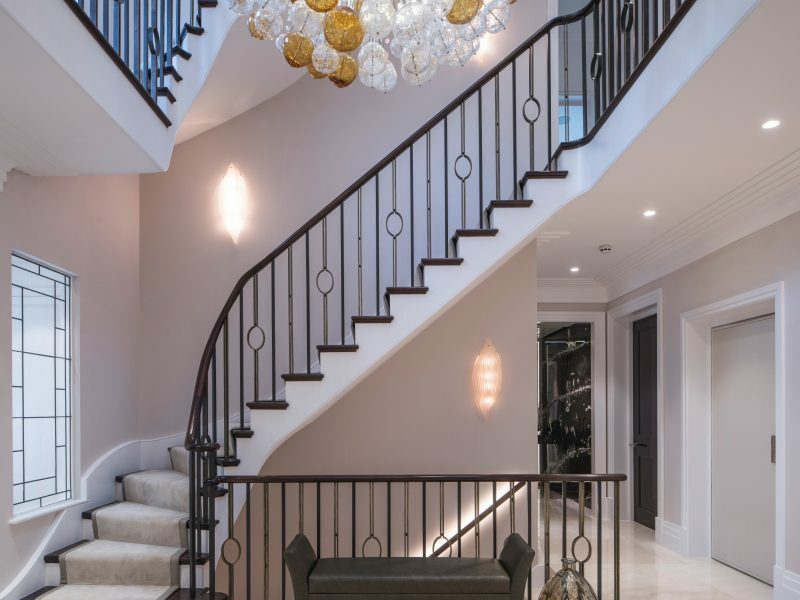 The scheme lent itself well to repetitious ornament, the railings being divided easily into discreet panels. Repetition renders castings more economical, as the original, and expensive, carved pattern can be used many times, the castings being relatively inexpensive. Finally cast iron has an excellent resistance to corrosion, and will in all probability outlast the stonework. 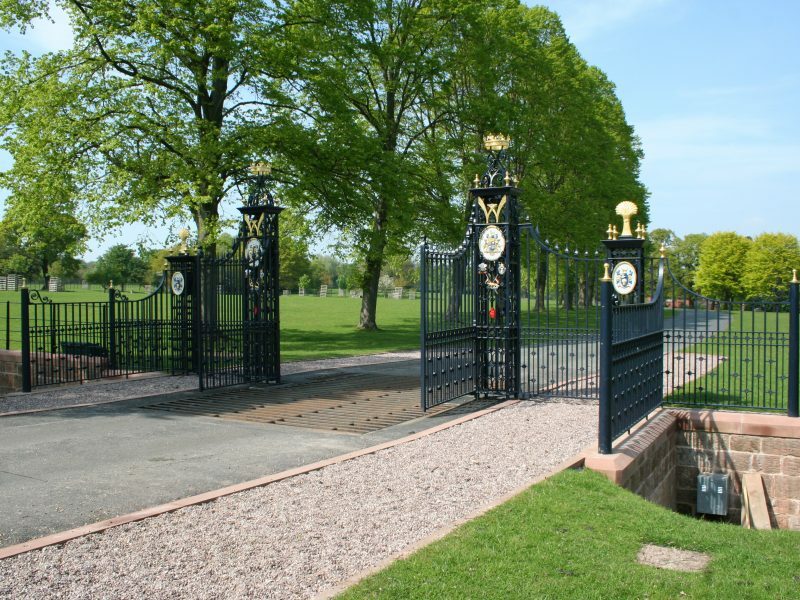 The design style duly selected, Bethan went on to work up the design idea into railings, gates and handrails, and do detailed workshop drawings from which the patternmaker could work. 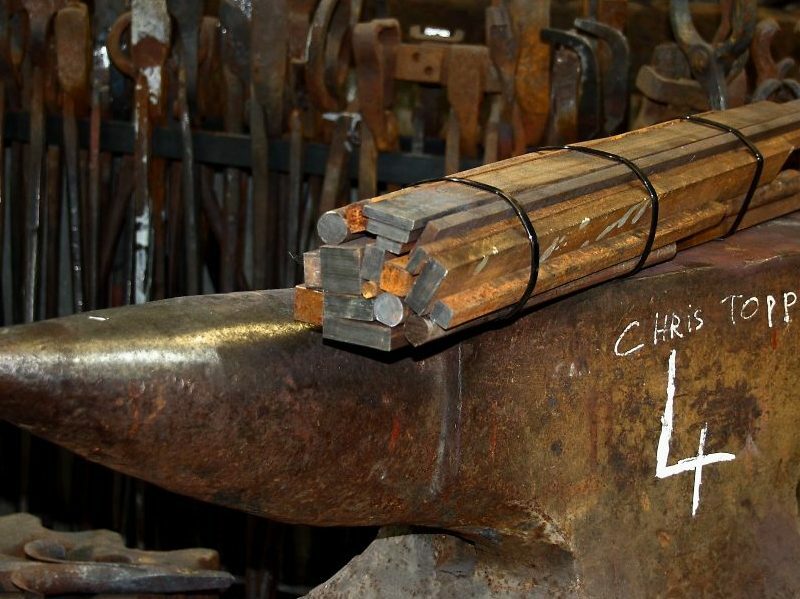 It was not until the iron castings were completed by the foundry that we could take them into our workshops for machining, fitting and painting. Meanwhile on site the stonework was being completed by the masonry contractor, ready for us to fix the ironwork into position. 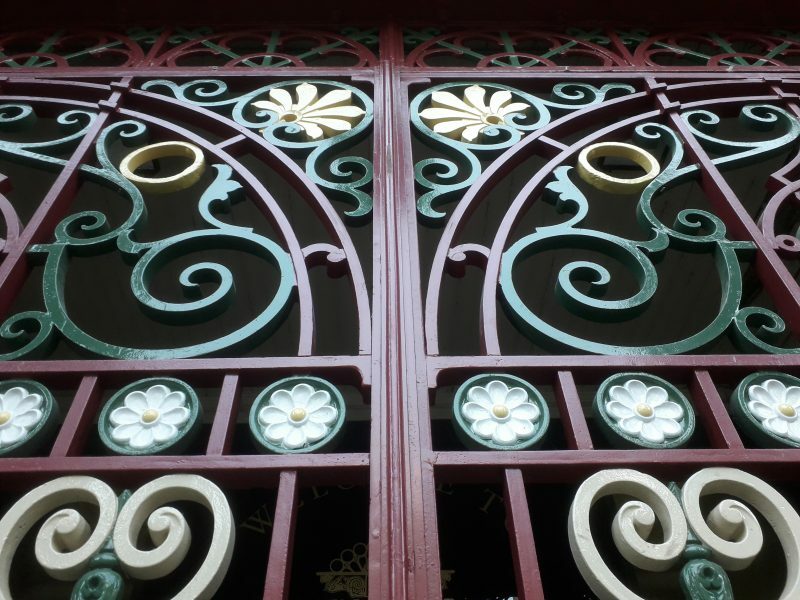 It is easy to fall into the trap of assuming that all ironwork should be painted black. In fact black was seldom chosen prior to the nineteen twenties, and so would not have been appropriate to a building of this period. 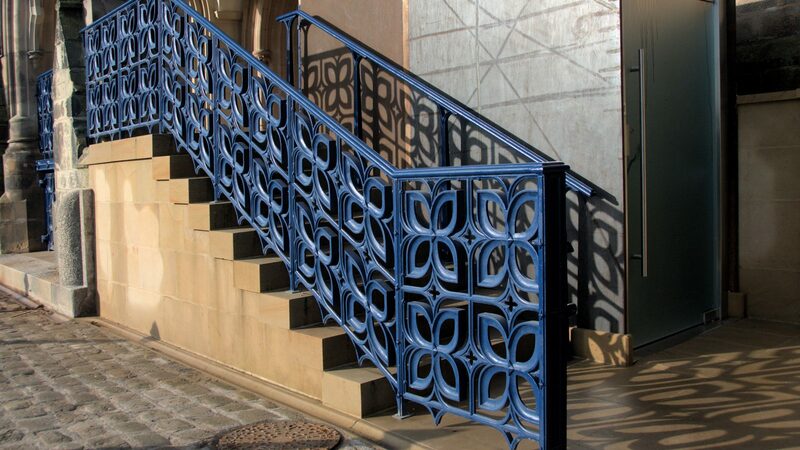 The architect was keen that the colour of the ironwork should reflect the symbolism of the Catholic faith, and blue was chosen as it represents the sacred virgin, and was a colour extensively used elsewhere by the Pugins, father and son. 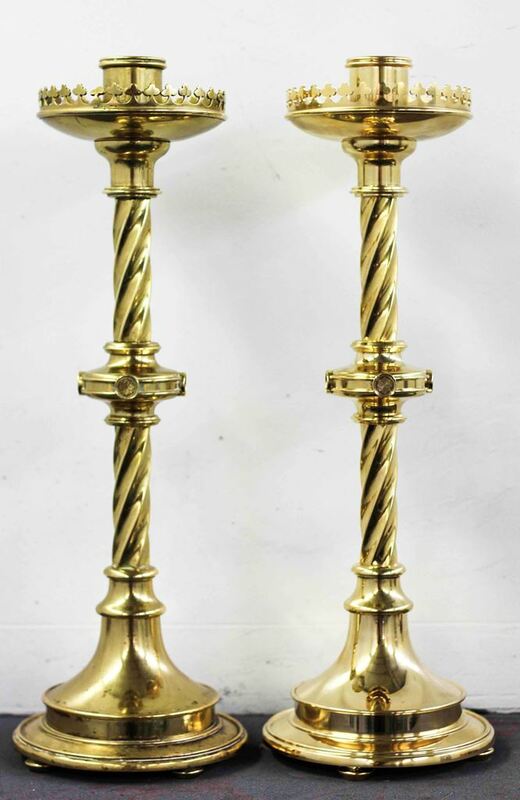 Other projects we have recently worked on for Shrewsbury Cathedral include replicating a brass candlestick and replicating a Brass finial. 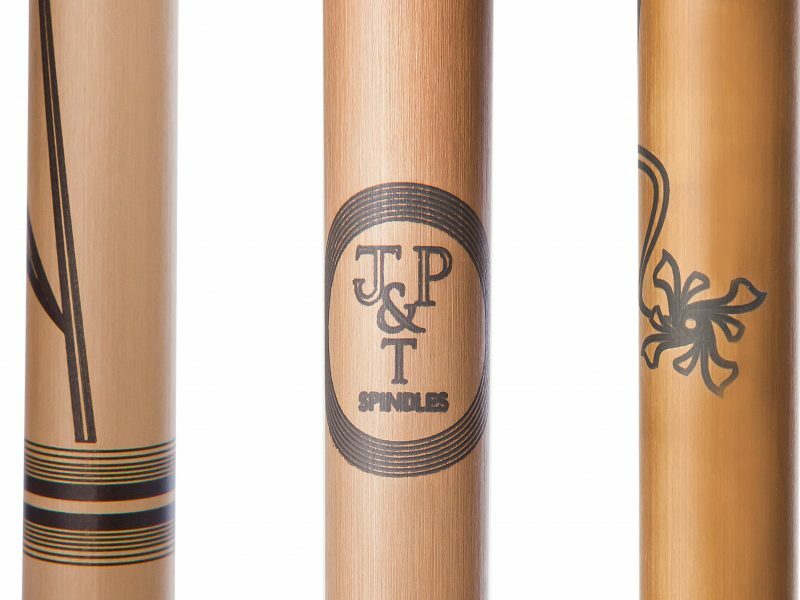 pictures of these beautiful replicas can be seen below. and also producing a replacement brass finial for the Priest’s Chair. A Cathedral is more than just a large church; it takes it’s name from the ‘Cathedra’ or Bishop’s Chair which is currently placed in the centre of the Sanctuary. The chair symbolises the teaching office of the Bishop – in early times teaching was done from a sitting position. The detailed floral carving on top of the finial was too intricate to copy using traditional sand casting methods so it was decided to have a replica brass finial made using a CNC machine by Artisan Precision Machining Ltd. The ‘missing’ finial has now been restored so that the Priest’s Chair can once again be used as it was originally intended.